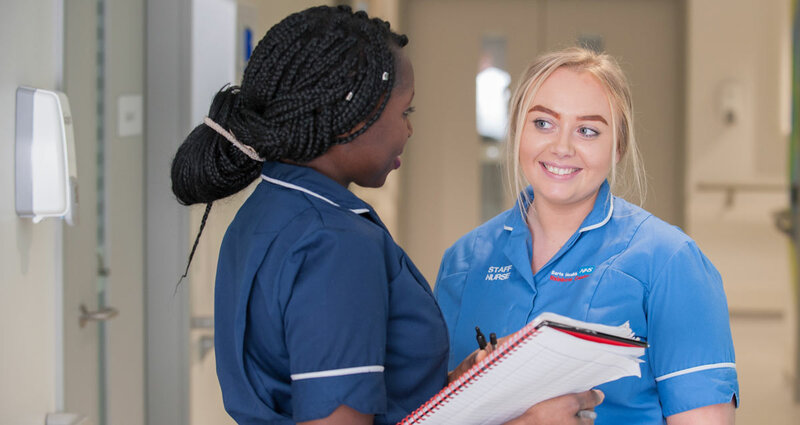 Our Nursing, Midwifery and Allied Health Professionals (NMAHP) research hub is a new entity specifically aimed at and created for, nurses, midwives and allied healthcare professionals across the trust. It is led by NMAHP research leaders and aims to provide a virtual environment that NMAHPs from across the trust can engage with for anything research related. Crossover exists, and collaboration between NMAHP and medical research is key to ensure that all aspects of patient care are fully understood and developed in unison. NMAHP-led research opens up existing research agendas to be fully inclusive of all healthcare staff. This means that different research methodologies are also utilised from across the academic world to ensure the right approach is used for the questions that need to be explored and answered. The NMAHP research hub team consists of three nurses, a midwife, and an allied healthcare professional. Between them, they have a wealth of experience in NMAHP-led research and are keen to share this knowledge to help generate future NMAHP researchers, whether that is to dabble in research to gain further knowledge and experience that aids evidence-based practice, or to become NMAHP research leaders themselves. Educational sessions to support research usage and research engagement are available in a variety of formats for NMAHP staff at Barts Health. We have links with a number of universities. Between them, these provide a range of postgraduate courses Masters and Doctorate courses according to their areas of expertise, as outlined below. If you find an opportunity which interests you, please get in touch. Our team will be happy to advise you. Fee-paying PhD/professional doctorate programmes are also available at each partner HEI: City University London, University of Greenwich, London South Bank University, Middlesex University London, Brunei University, University of Hertfordshire, Queen Mary University of London and University of East London. Additionally, research coaching and mentoring is also available for individuals or teams who are interested in engaging in research. Please contact us to discuss your requirements. We're turning to Michelin Star restaurants to help serve up new ideas to improve our patients’ experience. Alongside the University of Greenwich and Imperial College London, we are undertaking an innovative study to better understand how restaurants – including Heston Blumenthal’s The Fat Duck – give their guests a 5-star experience. The key learnings will then be translated into recommendations that NHS services and hospitals can then adapt and implement to improve patients’ experience. Let Me Take Care of You from Paul William Craddock on Vimeo. Barts Health has some of the best patient outcomes in the NHS, consistently recording fewer deaths in its hospitals than would be expected for the specialist care it provides. However, the Trust wants to make its patients’ time - from the moment they enter hospital through to when they are discharged - as good as possible and believes the emphasis high-end restaurants place on diners’ experience may provide real, unique opportunities to learn and improve services. So, how will it work? 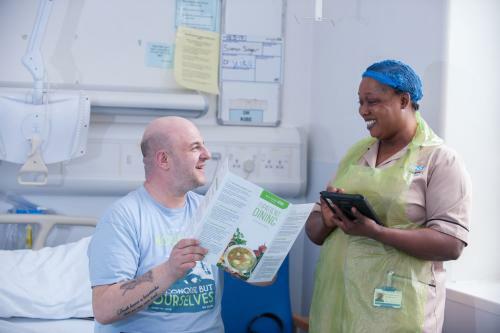 Expert researchers from the University of Greenwich and Imperial College London will spend time observing top restaurants as well as hospital wards and waiting areas. In June, members of the public will have the opportunity to attend unique events where they can experience first-hand some of the key techniques that were observed in both settings. We are conducting a trust-wide audit of nursing, midwifery and allied health professionals to understand current research awareness and activity, and identify potentials for research growth and opportunity. We would appreciate a few moments of your time to complete this short survey online or on paper [pdf] 454KB. Please return paper surveys to the education centre at RLH.